Living Sq. 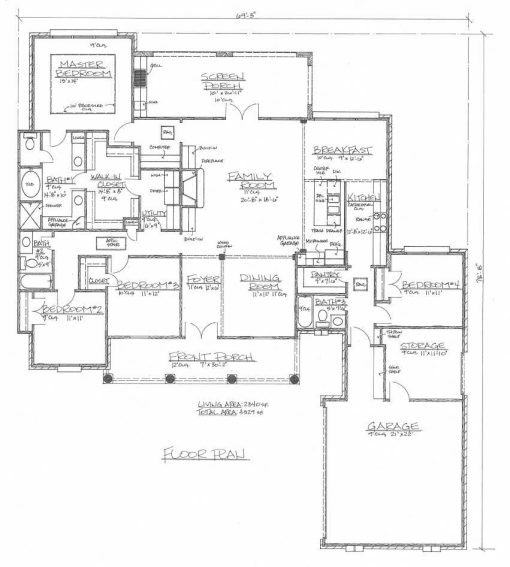 Ft. : 2032 s.f. Total Sq. Ft. : 3638 s.f. It looks like a plantation house from the front, but it is just over 2000 square feet. 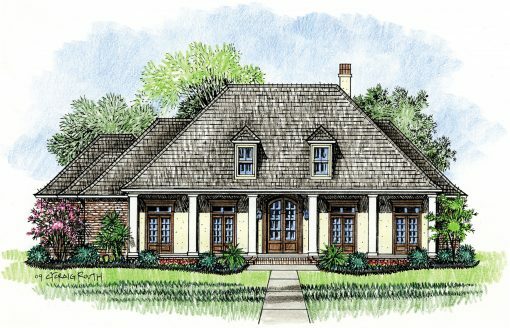 The Patterson Louisiana plantation styled home plan features five forward facing double doors with a large front porch supported by 8 large columns and curved brick front steps. 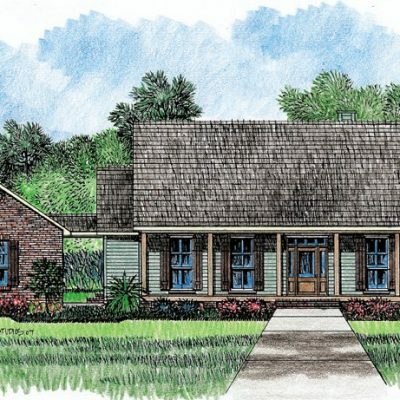 Through the front door you enter into the large family room at almost 20’ x 22’ with another set of double doors leading to the large rear covered porch where you will enjoy the shade and the back of your property. Back inside, you will love the kitchen. If you like to spread out and cook, there is a center island and a large work counter next to the fridge. 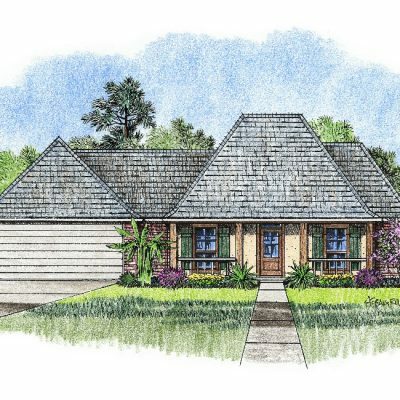 You will love this split floor plan with the master on the left of the house and the other two bedrooms on the right. 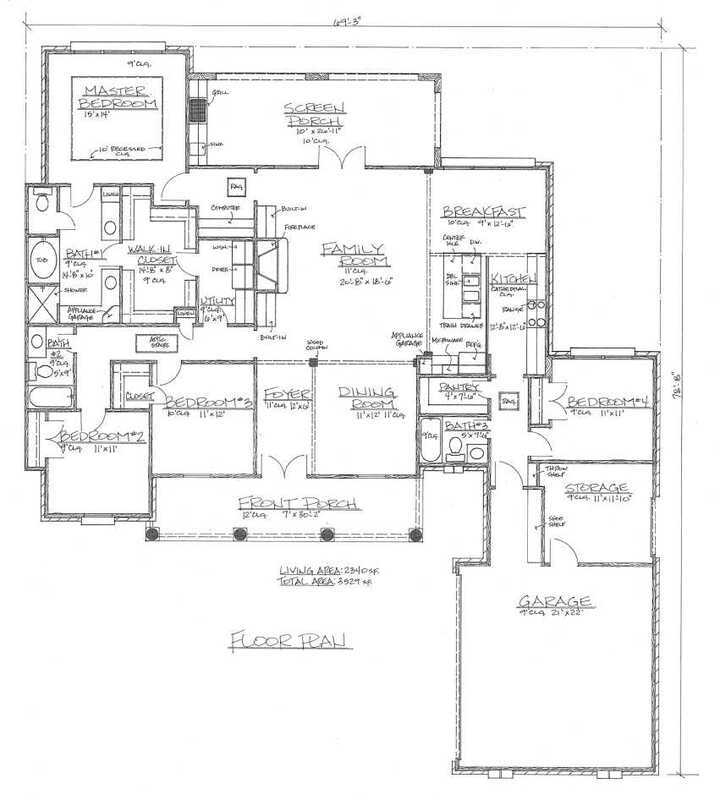 The master suite has a tall 11 foot recessed ceiling making it feel very large. 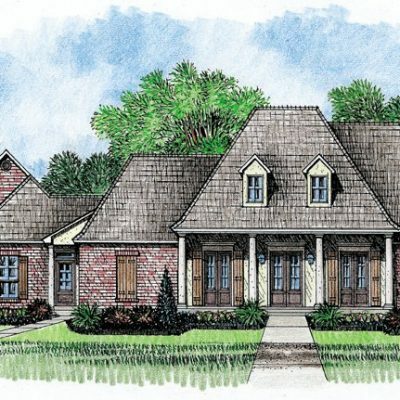 In the master bath you will find a matching recessed ceiling with a huge corner whirlpool tub, a separate shower, and his and her walk-in closets. The utility room is also good sized with room for a freezer.